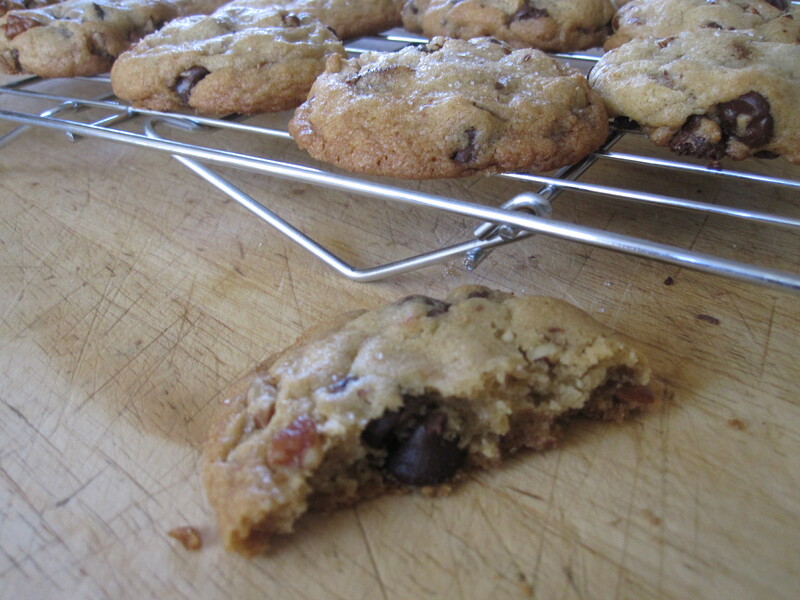 Cambria, Paso Robles, Wine, Olive Oil and Chocolate Chip Cookies with Olive Oil and Sea Salt | eat. cook. blog. Last weekend we went with a group of friends to Cambria (California’s central coast, north of San Luis Obispo, south of Big Sur). It was really beautiful and a lot of fun. 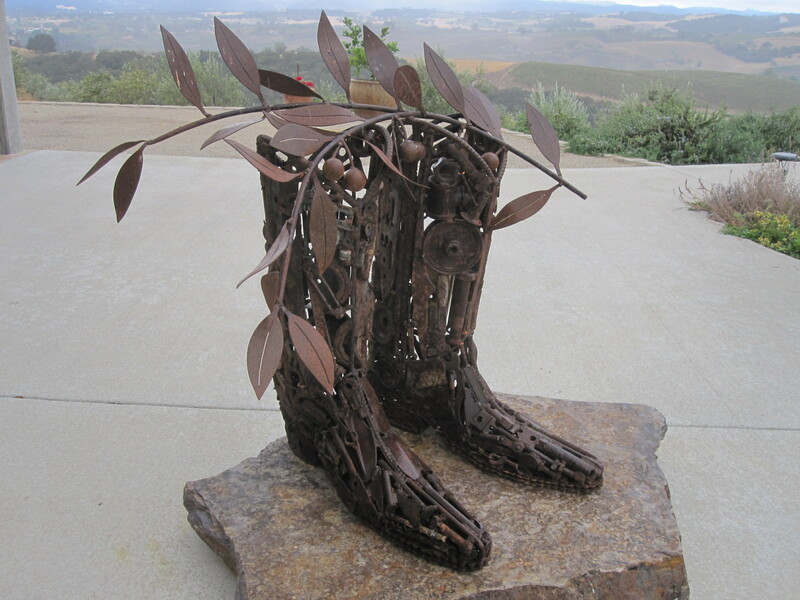 One of the highlights was the day we spent in Paso Robles (the wine country just east of Cambria). We hired a van and driver through the Wine Wrangler (or, as it was called by the end of the day, “The Wine Wangler”. Lol.) 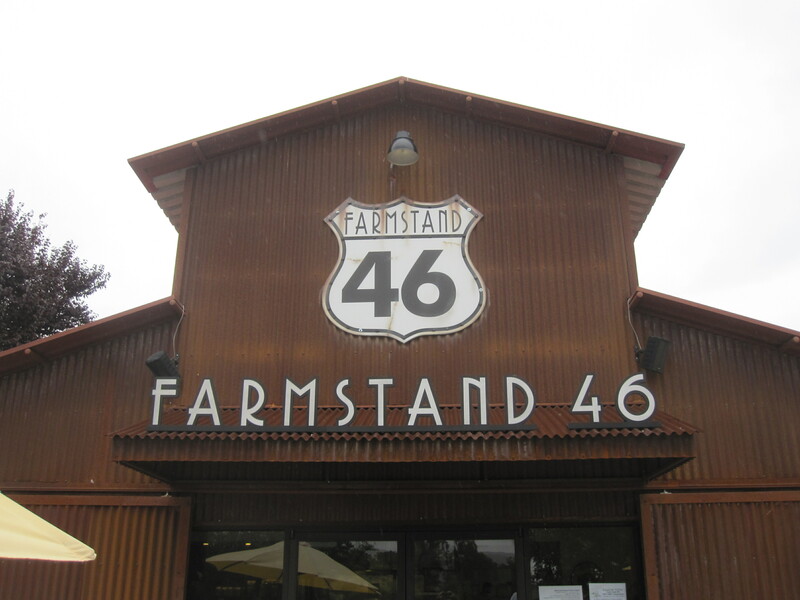 We stopped at Farmstand 46 for absolutely incredible gourmet sandwiches (I had the “Monte Carlo”…tuna, bouquerones, pickled egg, red onion and salt & vinegar potato chips on a French roll! OMG…best tuna sandwich EVER) and ate in the art gallery at Castoro Cellars (incredibly beautiful vineyards and a superb Chardonnay). 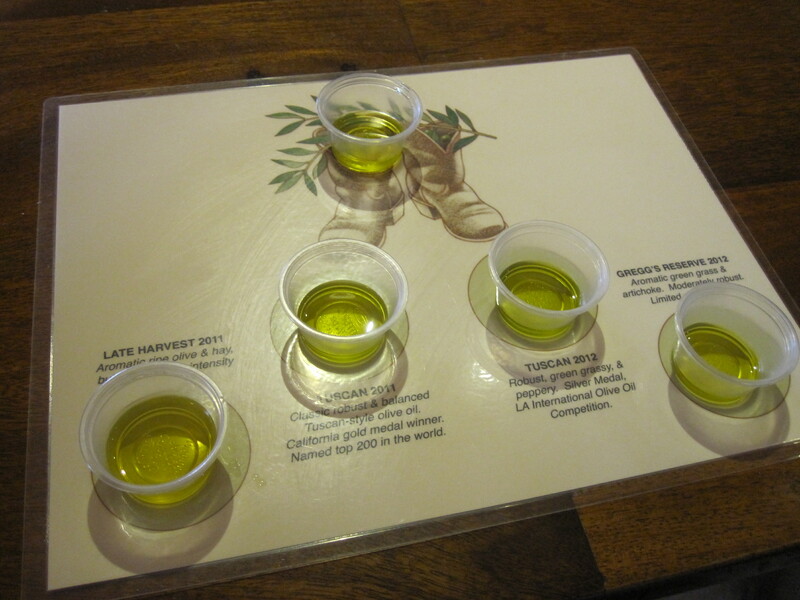 One of the highlights of the day was visiting Kiler Ridge Olive Farm for olive oil tasting. 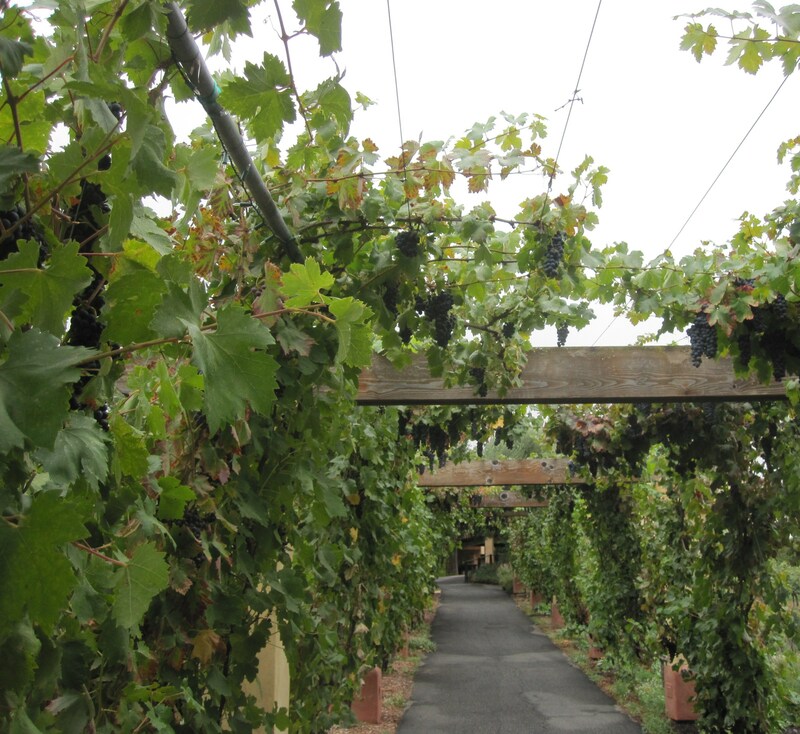 Kiler Ridge is located on a hilltop, with 360-degree spectacular views of the valley and nearby vineyards. Owner Gregg Bone is a retired chemist and boy, oh boy, did we learn a lot about olive oil! He told us that olive oil has three main flavor characteristics: bitterness, pungency and fruitiness. And that time and exposure to light are enemies of olive oil and its beneficial triglycerides, so buy smaller bottles of olive oil and store them in a dark, cool place. 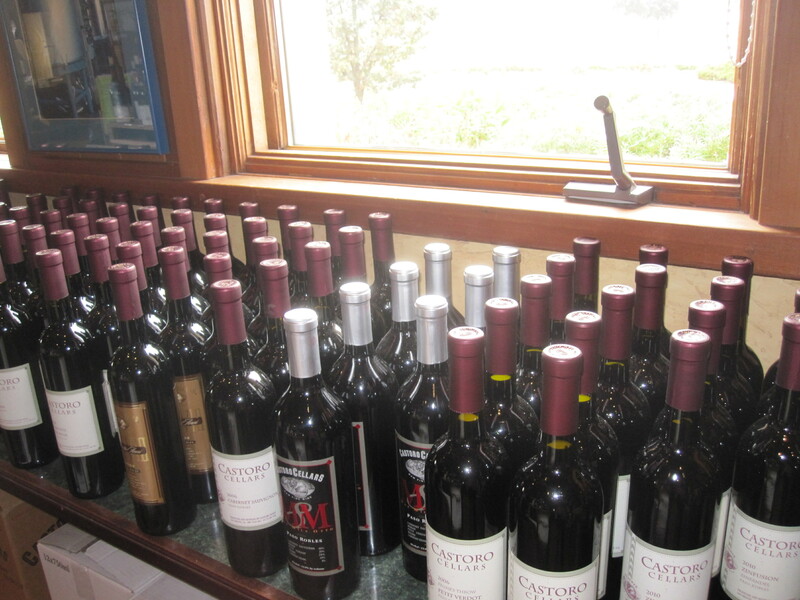 But let’s back up a month or so to when we were planning the Wine Wrangler outing. I had researched a few vineyards and emailed everyone about olive oil tasting. Everybody was game. One of the full gastro-touristing experiences offered at Kiler Ridge is tasting vanilla ice cream with olive oil and sea salt. A few friends in our group weren’t so keen on that. They thought it sounded weird. I agreed that it sounded weird, but would venture to say that its really delicious. Which, of course, got me thinking that there must be some incredible baked good using olive oil and sea salt, that I could bake and bring up to share with everyone. So I found a recipe for Chocolate Chip Cookies with Olive Oil & Sea Salt. What the heck. I decided to give them a try. To be honest, after making the “dough”, I was really nervous. It was so gloppy (is that a word?) and oily-looking. I figured they’d spread all over the pan when put in the oven. They didn’t! They firmed right up into lovely golden cookies. So I froze them and brought them with me. After eating our lunch at Castoro, I brought out the cookies. Everybody loved them. The olive oil just gives them a sort of earthy deliciousness. And the sea salt just adds that extra little “zing”. Okay, so now back to Gregg at Kiler Ridge. About five minutes into his talk, as he’s explaining the differences between real extra virgin olive oil compared to the stuff that’s commercially pressed and bottled by the big name brands, I was feeling a little bad about my chocolate chip cookies. Okay, only a little bad. We all still thought they were delicious (in fact, we managed to eat every last one), though we did nickname them “the tainted chocolate chip cookies”. I’m just glad I didn’t offer one to Gregg! And I am definitely down with trying the vanilla ice cream with olive oil and sea salt! In a small bowl, whisk together flour, soda, and salt. In a larger bowl, “cream” olive oil and sugars. It will get soupy, but it won’t really get fluffy like it does with butter. Add the eggs one at a time, beating thoroughly after each addition and then add the vanilla. Now you can put the mixer on high for a minute, just to fluff the eggs out, but don’t do it for too long because olive oil can turn bitter if over worked. Scoop out blobs of cookie dough (about two tablespoons) onto ungreased cookie sheets. No need to flatten these will melt into gorgeous little blobby puddles. Sprinkle a smidgen of coarse sea salt on top of each cookie. Bake for about 10 minutes, until just lightly browned. Let cool on pans for a few minutes, then transfer to wire racks to cool (or, whatever, start eating them warm!) And they freeze beautifully! Thanks for the great post and lovely recipe. I am going to try it out. Thank you. They were amazingly good!